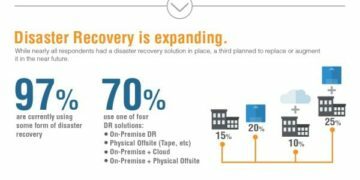 The use of Disaster Recovery as a Service (DRaaS) has grown in enterprises for a myriad of reasons. DRaaS simplifies the backup and recovery process not only by providing organizations with a secondary recovery site, but also by reducing spending on infrastructure. Additionally, less staff is needed because many administrative tasks are made the responsibility of the service provider. However, while it’s possible you can take advantage of these benefits with DRaaS, they are not guaranteed with every solution. To that end, we’ve compiled a list of seven essential elements of an ideal DRaaS solution. Because most businesses are bound to some sort of regulatory standard, your service provider should go out of its way to ensure that its IT infrastructure meets compliance requirements. When examining your provider’s data center, look for redundancy across all critical network components, up to date security measures, and a location that is far from disaster-prone areas while still being close enough that network costs will be reduced. Though DRaaS has become more popular in the past few years, the market itself is still relatively young. Because of this, finding a provider with credentials that prove their success is important. To determine which vendors have what it takes, go through trusted review sites and read user feedback about their experiences, or consult our DRaaS Buyer’s Guide. This practice will help you figure out which providers are able to truly assist users in the event of a disaster. One of the many benefits of a cloud-based service is flexibility, so in theory, every DRaaS solution should be able to offer this in various ways. For example, your solution should offer a choice of recovery destinations and the option to restore individual files or entire systems. A flexible DRaaS solution should also offer you control via allowing for resources to be added or subtracted as needed. Because every business is different, find a service provider that will create a solution based on your specific needs. The DRaaS solution you select is the biggest factor in whether or not you will be able to recover your systems. 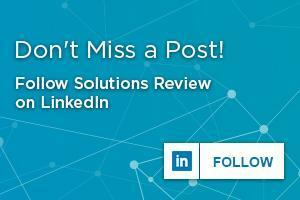 However, Service Level Agreements (SLAs) need to consider issues other than backup and recovery. These include moving data to and from the cloud, scalability, accessibility, and location. Additionally, DRaaS SLAs should be reviewed thoroughly to be sure that your concerns are addressed. Meet with your legal team and any key stakeholders in order to negotiate the terms that suit your organization best. How long does it take to restore a data set or system? How will your failed systems perform when ported to the cloud? 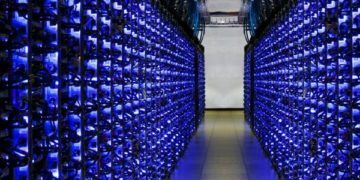 How long does it take to shift from backups to live system operations? Are there risks of downtime or data loss when failing back to live operations? How long will the service provider maintain the recovery environment? Will there be additional fees? Having a disaster recovery plan doesn’t mean much if you don’t know that it works consistently. By practicing regular testing, you can be sure that everything goes according to plan. Your service provider should perform regular tests without interrupting day to day business operations. When each test concludes, the provider should give you documentation explaining how your disaster recovery plan performed. This practice will help you determine how prepared you are for an actual disaster. User support is especially important where business continuity is concerned. The ability to call, email, and/or use a community forum for support is imperative. It’s also important to know the hours the support team is available, as the need for support is not scheduled. If possible, look for a vendor that offers 24/7 assistance and provides access via as many modes of communication possible. The benefits of DRaaS are many, but only if you can find the right solution for your organization. 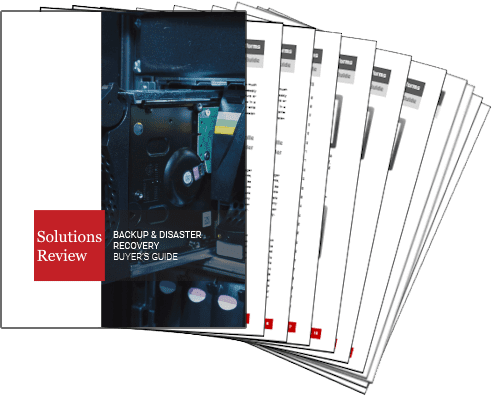 Consider these elements during your search, and consult our DRaaS Buyer’s Guide, which includes full vendor profiles, key features, bottom line analyses, and more.